During the mid-19th century, mining in all areas of the Mojave created boom towns with colorful names and characters. On Christmas Day in 1860, for example, the first producing Mojave mine, named “Christmas Gift,” was opened in Death Valley. As the mining boom continued, borax—“the white gold of the desert”—was discovered; it has been mined profitably in the Death Valley area since. 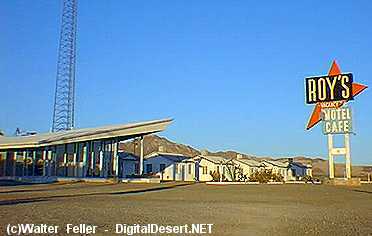 During the 1870s, the Clark Mountain Mining district was established and with it the town of Ivanpah, which at the time was the only American community of any size in the eastern portion of the Mojave. Gold was discovered in El Dorado Canyon in the late 19th century, where a single mine ultimately produced $1.7 million in gold. Small prospectors, however, generally made very little money, the biggest problem being the costs of transporting supplies to such remote locations. “Boom-or-bust” mining was the usual approach: As soon as a strike played out, miners moved on, leaving ghost towns in their wake. 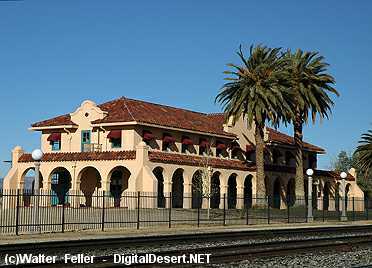 With the coming of the Santa Fe Railroad, water and other supplies were made available to companies intent on capitalizing on the Mojave’s resources. 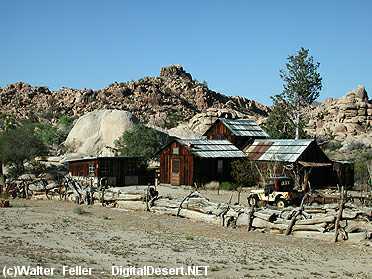 In the early 1900s, more mines were open and profitable in the Mojave than at any previous time, establishing such towns as Cima, Kelso, and Fenner. Demand for Mojave metals such as gold, silver, and manganese, peaked during World Wars I and II. 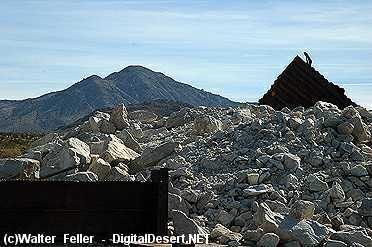 Today most Mojave mining is for gold and nonmetals such as borax. 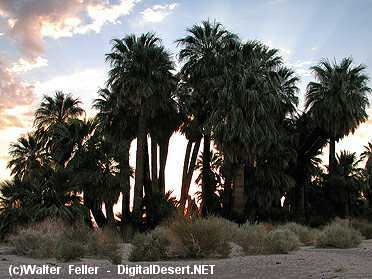 Beginning in 1910, land was homesteaded in the Mojave Desert, usually in 64.8 ha (160 ac) parcels. Claimants had three years in which to improve their properties to receive a deed from the General Land Office, a predecessor of the Bureau of Land Management. Among the came from other parts of California to settle in the Lanfair Valley area. For a few years after 1912, rainfall was relatively plentiful, and crop production was vigorous enough that more people were attracted to the area. Mustard-gas victims of World War I also came to take advantage of the benefits of the dry desert air. Ultimately, the rains didn’t last, and water rights conflicts erupted between homesteaders and ranchers. In many cases, after digging unsuccessful water wells, homesteaders were forced to haul water for several kilometers for household use. Many small farms and homesteads were abandoned with only tiny cabins left behind. During the 1920s, Route 66 appeared out of a desire to improve the road network in the West, which featured a hodgepodge of tracks and trails that had been established by American Indians and pioneers. A descendant of the early 1900s “National Old Trails Road,” the new two-lane route would join the Midwest to California. Route 66 was also to become a legend—“the Mother Road” and “the Main Street of America”—immortalized in John Steinbeck’s The Grapes of Wrath, Nat King Cole’s “(Get Your Kicks on) Route 66,” and a popular 1960s television show. Roy's Route 66 motel & restaurant - Amboy, Ca.